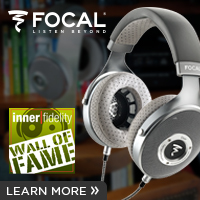 On one level, Beats has become the new Bose, in that everyone loves to slag Beats. But like the legendary Bose 901 speaker, which we reviewed a few years ago, most of the Beats stuff is pretty damn good and not worthy of the aggression thrown its way. I’ve got a Beats audio system in my Fiat Abarth and it sounds better than any other $900 car-stereo upgrade I’ve heard. 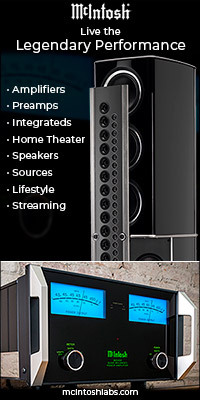 Plus, it plays loud enough to overpower the growl of the Abarth’s turbo motor—no small feat. 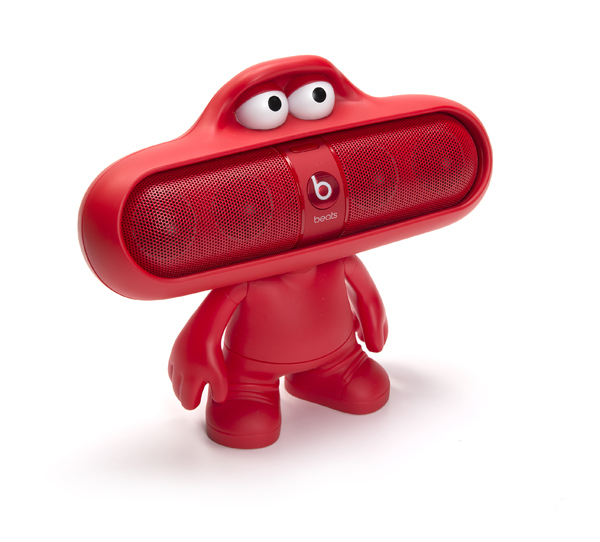 …which leads us to the little red guy you see here, the Beats Pill, complete with a matching Beats Character. My only real complaint is that it doesn’t bend like a Gumby—now that would be super awesome. But it does sound awesome. 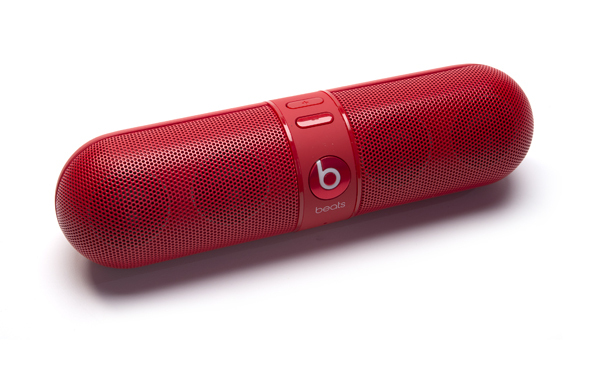 Yes, you heard right: The Beats Pill sounds awesome. It feature aux, USB and Bluetooth inputs—and, as you might expect, it sounds best hardwired via the aux jack, but this compromises mobility and coolness. All things considered, Bluetooth playback is not all bad, especially playing Apple lossless files via my iPhone 5. Actually, there are no specs for the Beats Pill on the company’s website, but the device does have an internal DAC and amp of some kind. The website does mention that the Pill has three volume settings: loud, turnt up, and (my favorite) call the cops. Well, it doesn’t really play that loud, but the four little speakers that seem about 2 inches in diameter do move some serious air for their size. As cute as the Beats Character is, it elevates the Pill off of the table enough to diminish the surface bass response, and for many, that’s what Beats is all about. Listening to the latest Daft Punk release demonstrates the table-gain phenomenon quite clearly. If you want a bit more boom in your low end, take the Pill out of the Character and place it midway back on the table. This will give the maximum bass reinforcement. However, if you’d like a bit more of a balanced response, putting the Pill back in the Character helps achieve this. The vocals on Chrissie Hynde’s “Dark Sunglasses” have a throatier quality when directly on the table sans Character; yet, Johnny Cash’s voice in “Delia” has too much. Male vocal tracks seem to be more natural with the Pill up off the table. In addition to no specs, there are almost no instructions either. In keeping with the Apple ethos, precious little instructions are required—just push the Bluetooth button on the back, pair it with your computer or smartphone and you’re rocking. The miniscule LED on the back blinks until you pair the Pill and then goes to solid white once the connection is made. Should you run the Pill out of power (a full charge is claimed to last 7 hours, but we routinely got 8) or shut it off, it will look for the last device it was paired to upon power-up. You can charge it with a wall adaptor or via USB from your laptop. As cool as the Pill is, it’s even better in stereo. 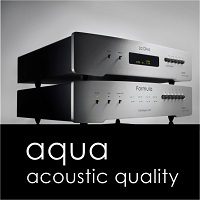 You can link two of them via the output cable on the rear, and then stream to the duo with one as the left channel and the other as the right channel. 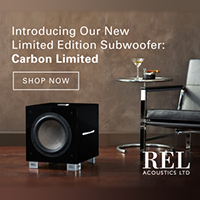 I can’t think of a more fun way to boost your laptop or desktop sound—well, maybe if they offered a wireless Beats subwoofer. Spreading them about a foot from each side of my MacBook Pro makes for the best stereo image without collapse. Listening to the Flaming Lips version of Dark Side of the Moon with this configuration proves incredibly trippy. The width of the Pills flanking my laptop makes it feel like I have a miniature pair of Quad 57s on my desk—these babies create an image like crazy. Somehow, this pair of Beats speakers has me thinking about electronica, so I go old school, listening to a lot of Kraftwerk, Eno and Art of Noise tracks with great results.